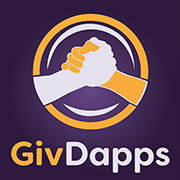 GivDapps is an online donations platform that provides nonprofits with a place to host local and national charitable causes. We collect data to generate insight into who donates and why, and we give that information back to the nonprofits in the form of a freemium business model. We also provide local businesses with unique sponsorship and advertising opportunities wherein users exercise to release the business's donated funds.